In Deanne Basse’s classroom, portraits, paintings and drawings – serious, whimsical and thought-provoking – cover the walls. Sculptures rise from desks and countertops. They were created by students who have learned to go deep with their feelings and experiences, to make art a reflection of themselves and their journeys. “I encourage them to use art as a vessel for their voice,” said Basse, a 10-year Godwin Heights High School art teacher. As a result, students sometimes put heavy themes into their work, Basse said, pointing out pieces that express their struggles with education, family, anxiety and other issues. One student used surrealism to express his conflict between going to college in the U.S. or returning to Mexico to reunite with his family. Rockstar Teachers Series: There’s just something about certain teachers that draws students to them in droves and keeps them checking in years, even decades later. Here, we highlight some of these rockstars of the classroom. “I do try to give them a good solid skill base, and then show them how to get out what they’re thinking,” Basse said. Students, though, say Basse’s method of teaching goes beyond art and into making them feel good about themselves and able to grow their abilities. Basse sees talent emerge from her students, including how they infuse their work with music and drama, or passion for advocacy or activism. Some have loose, free styles, others are very deliberate. All are reflective, a result of learning to think of art as more than lines, colors or clay. 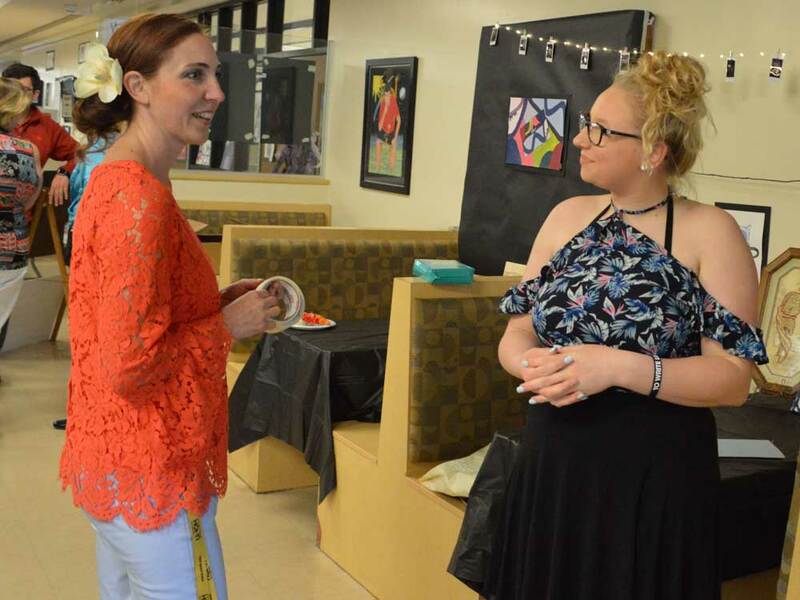 Eighteen seniors, most of whom have had Basse as a teacher since ninth grade, showcased their portfolios recently at the school’s senior art show. They curated their own spaces, gallery-style, to display their work and growth as artists over the years. Though they had already completed final exams, several visited Basse’s classroom every day prior to the show to perfect and polish their work. 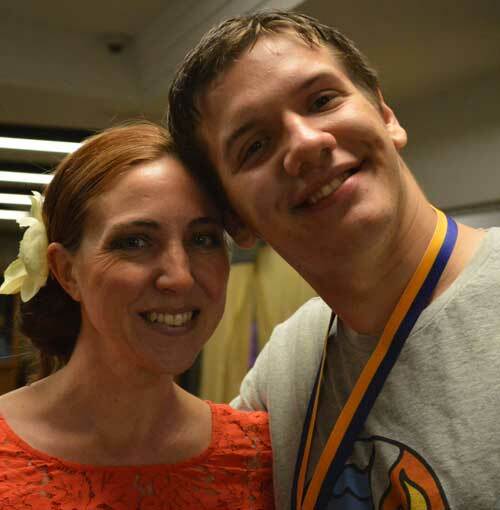 Basse is proud of how far her students have come and excited about what they will do next. “This group in particular has a genuine thirst for more,” she said. “They are unafraid to experiment and they are unafraid to fix and try to reach out of their own comfort zones. Their work ethic is really outstanding. 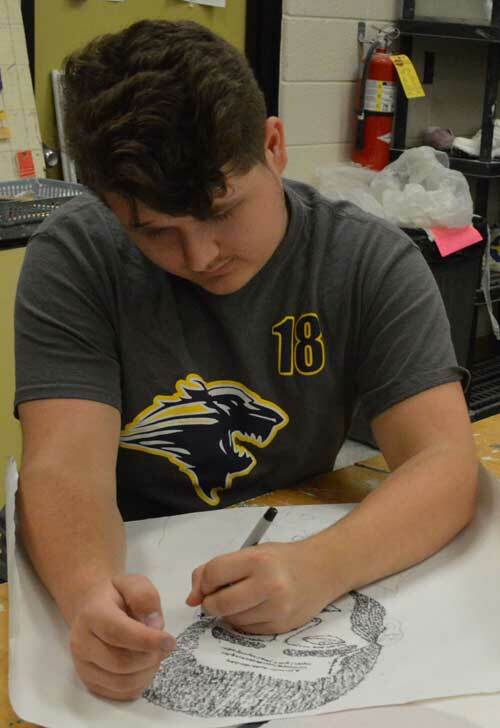 At the back of class, two days before the show, senior Dino Celahmetovic worked on a drawing of a villain from Spider-Man. Being creative in Basse’s class always felt natural because of her “encouraging eye,” he said. Basse, who earned her bachelor’s degree at Wayne State University and master’s at Western Michigan University, has been an art teacher for 15 years. 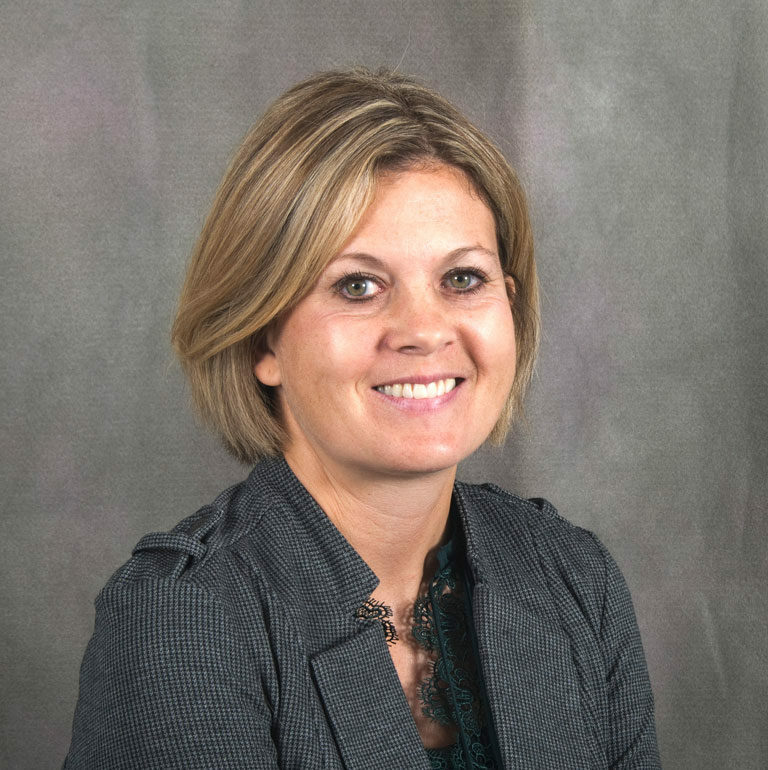 She taught for three years in Detroit and two in Battle Creek before starting at Godwin Heights. She teaches drawing, painting, ceramics, 3-D and calligraphy classes, as well as an introduction to art class. One of her goals is to write and illustrate children’s books. Basse starts assignments with personal-reflection questionnaires. She asks students to focus on vivid memories and feelings, even small things that have somehow shaped perceptions. They write and talk through their thoughts, considering how to symbolize them. 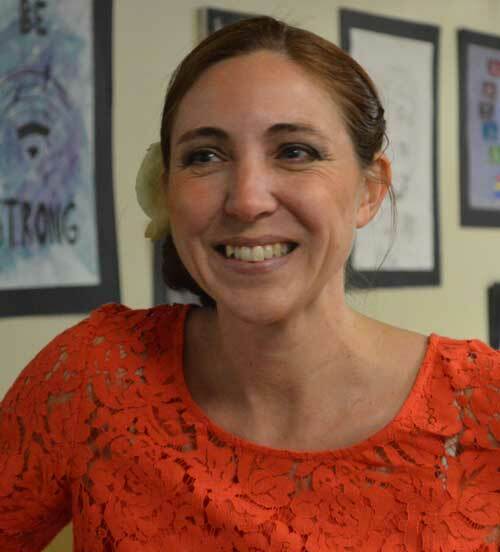 Her effort to bring students’ experiences into art has spanned the district. 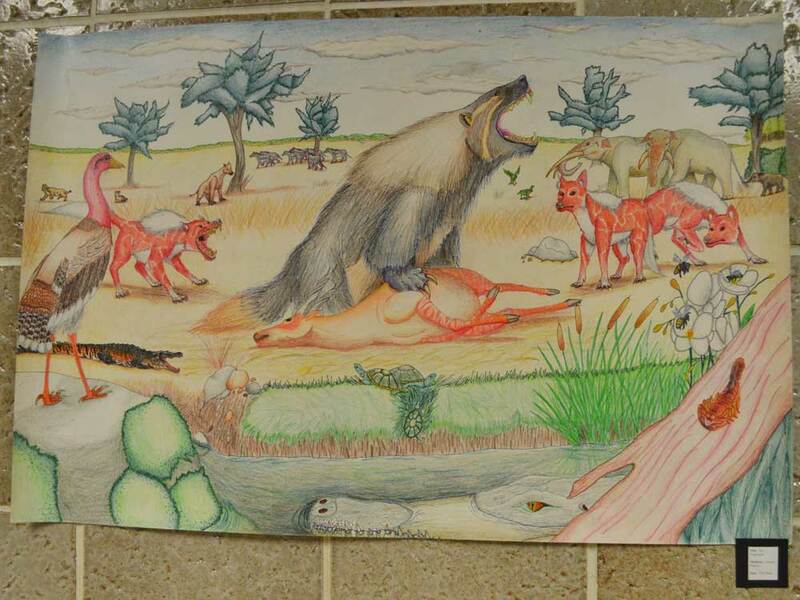 She collaborated with other district art teachers last summer for students to create a mural for the annual Grand Rapids art competition, ArtPrize. 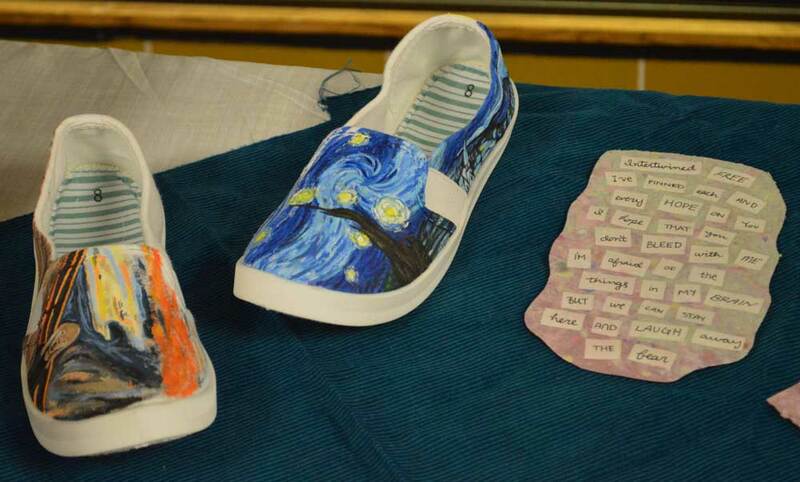 Their entry was comprised of 70 individually painted shoes in an art piece titled, “You Can’t Know Who We Are If You Don’t Know Where We’ve Been.” Students decorated shoes to share their unique walks through life. Godwin Heights has a diverse population, with the majority of students coming from economically disadvantaged families. Their stories are filled with hope, grit, heartbreak and everything in between. Then one of them changed her life forever. She recalled the day a student came to her and shared that she was pregnant, asking if Basse and her husband would be open to adopting her child. It was an easy yes, she said. The young woman miscarried, but the situation started Basse and her husband, Matt Basse, on a new path. They adopted their daughter, Emily, 4, one year ago. Along with art, Basse is passionate about baking. Each year, she leads students in an apple pie-making session so they can each have one to take home to their families for Thanksgiving. 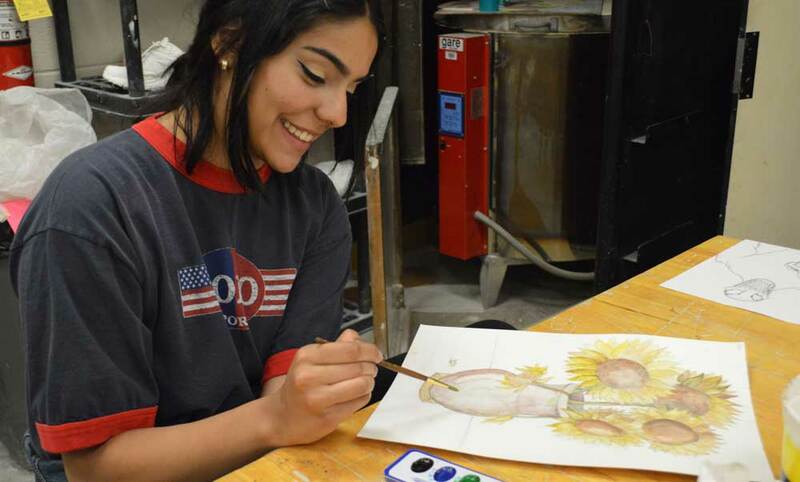 While she has endless pride in the seniors who leave school with a portfolio of years’ worth of art, Baase said some of the best moments are reaching the reluctant art students. She finds inspiration when they first walk into her classroom and say they don’t like art and didn’t want to take the class.